just under $1 million in State Innovation Models grant funding from The Centers for Medicare & Medicaid Services (CMMI). Summary: Provided grant writing, review, and strategic advice to a statewide public-private partnership that resulted in just under $1 million in State Innovation Models grant funding from The Centers for Medicare & Medicaid Services (CMMI). Background: The Hawaii Office of the Governor and healthcare stakeholders from across the state, including hospitals, health plans, health care workforce educators, and providers, joined together to address serious healthcare issues impacting Hawaii’s population. The stakeholders formed the Hawaii Healthcare Project, which aims to engage parties in identifying strategies that will result in a significant, positive change in how the state delivers and pays for health care, uses information for improvement, and shapes public policy and programs to support these changes. Strategy: The McAllister & Quinn team was brought into the project because of the firm’s expertise in grantsmanship and its extensive network of grant writers. The McAllister & Quinn team worked to coordinate the grant application process to help the Governor’s office, in conjunction with its multi-party stakeholder groups, seek a highly competitive grant from the Centers for Medicare and Medicaid Services. The State Innovation Models (SIM) – Model Design grant provided funding for states to produce a State Health Care Innovation Plan. 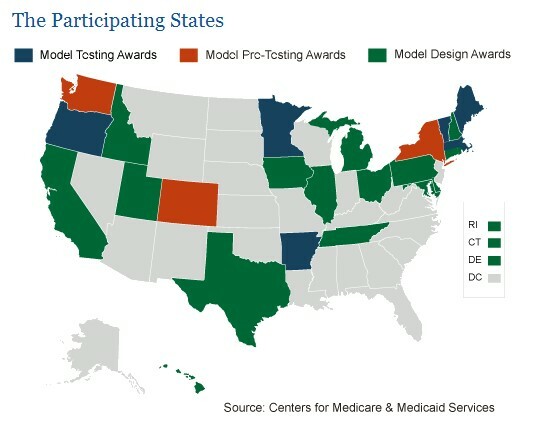 Model Design states are planning to use these Health Care Innovation Plans to apply for an anticipated second round of SIM – Model Testing awards. The McAllister & Quinn team consisted of an M&Q Project Manager, plus a Writer and Internal Panel Reviewer who are seasoned grant writers and subject matter experts in the health arena, and a professional editor with deep knowledge about the State of Hawaii. The team helped the multi-party collaboration synthesize numerous and complex points of view into a cohesive whole that spoke with a single voice and presented a strategic approach to health care responding to the needs of the entire state. Result: Hawaii became one of 16 states awarded Model Design funding in 2013, receiving $937,691 to develop its State Health Care Innovation Plan. After a rigorous, six-month planning process made possible by the grant, the State of Hawaii on February 27, 2014, released its healthcare transformation plan. McAllister & Quinn continued to work with stakeholders after submission of the initial grant and utilized its grant-writing network to support the Governor’s office to complete the collaborative, multi-party state plan.